British author beats Ireland’s Emma Donoghue to take prestigious literary award. 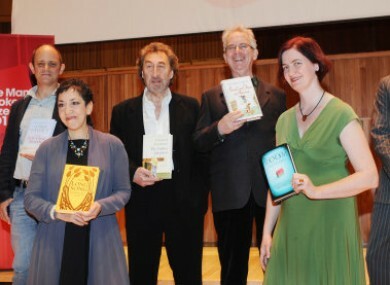 The six authors shortlisted for the Man Booker 2010 literary prize gathered left to right: Damon Galgut, Andrea Levy, Howard Jacobsen, Peter Carey, Emma Donoghue and Tom McCarthy. BRITISH WRITER HOWARD JACOBSON has beaten the five other short-listed novellists to claim this year’s Man Booker Prize for his book, The Finkler Question. Irish author Emma Donoghue had been in the running for the prize, nominated for her novel Room. The prestigious award is accompanied with a £50,000 prize fund, and typically boosts the winner’s book sales. The award organisers say that this year’s short-list has enjoyed 45% higher sales than last year’s. Born in Manchester, England in 1942, Howard Jacobson lectured at the University of Sydney before returning to England in the 70s to teach English. Despite being long-listed previously, this was the first of Jacobsen’s 11 novels to be short-listed for the award. Booker prize chairman Andrew Motion said he was pleased to see somebody “who is that good finally getting his just deserts”. It won because it was the best book. You expect a book by Howard Jacobson to be very clever and very funny and it is both those things. But it is also, in a very interesting way, a very sad, melancholic book. It is comic, it is laughter, but it is laughter in the dark. The Finkler Question explores what it means to be Jewish in Britain today, as well as the nature of friendship, according to the Guardian. Email “Howard Jacobson takes the Man Booker Prize”. Feedback on “Howard Jacobson takes the Man Booker Prize”.